Cockatiels – the parrots, which often give birth at home as Pets because they're intelligent, and beautiful. But the most attractive feature is their ability to sing and speak. To teach Corell is no more difficult than to train the dog. But you need to allocate enough time and patience. The main thing is to practice regularly. So Corella told you to teach him since childhood, yet this chick. So choose a young bird. Make sure she does not hurt and has no deviations, otherwise the learning conversation can be a problem. If you want a talking parrot, do not buy a couple – they can communicate with each other, so they will be difficult to teach. First, let the bird get used to you new surroundings, so don't start classes immediately. It is better to accustom Corell to the hands, wait until he is no longer afraid of people. Pay much attention to him, talk to him, call it by name or play. Need to train one person. Scroll to about 45-50 minute daily classes. This time can be divided into several parts, for example, to do five times a day for ten minutes. It is desirable to teach to talk in the morning, it's the best time for parrot. Before you begin training, take the cage with a parrot in a separate room where he will not be distracted by extraneous noises. Don't let him, and if he flew, then take a cloth or net and carefully move into the cell. Select the phrase you want to train Corell. The most common: "Beautiful bird", "Petrushka good" or "How are you?". It is advisable to repeat the sounds "p", "K", "t", "a", "o", as Corella's easier just to pronounce them. But you can teach any offer, the main thing – very often to repeat it. Parrots grab only the sounds which are heard regularly. So they quickly begin to imitate the phone ringing or the cat's meow. Repeat the phrase many times with the same intonation. You need to refer to the bird, not to speak into the air. Say the words gently, not abruptly, slowly and clearly. Speak loudly enough to be on the same height. 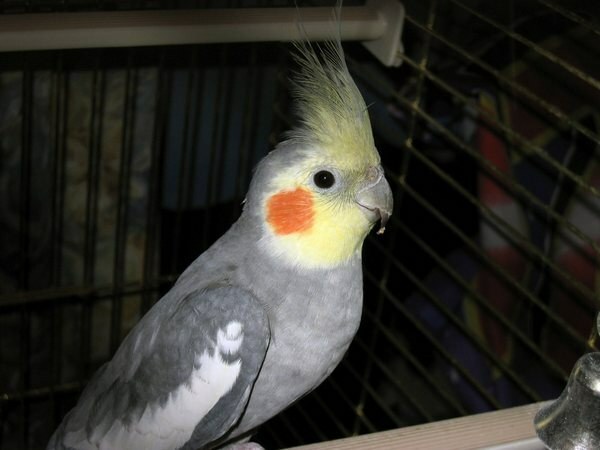 It is believed that cockatiels are more receptive to female voices, so women find it easier to teach them to talk. Move on to the next phrase, when the bird has fully mastered the previous one and pronounces sounds clearly. If you want the parrot to say sentences to the point, you need to follow them in any way. For example, repeat "Kesha bathing" while swimming. So he will speak more meaningfully. Record a phrase or favorite songs and turn on corellia, while you are not home. Soon he will not only start to speak, but will sing songs.